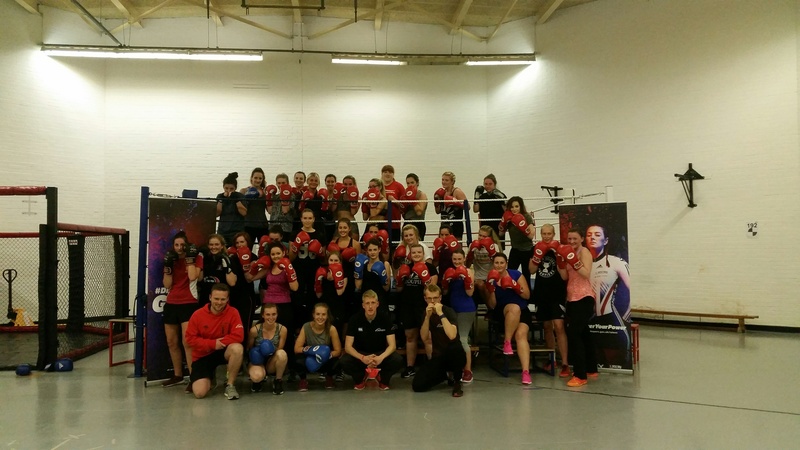 GB Boxing have been working on a boxing pilot with Northumbria University, UK Sport, England Boxing and the English Institute of Sport to look at encouraging more females to get involved within boxing. The pilot which was set up in 2015 looks to investigate the barriers that female athletes are often faced with when trying to take up boxing. This week saw the second intake of female University students onto the boxing pilot project at Northumbria University following a successful recruitment fair. The first ‘taster’ session was held on Tuesday and saw over thirty females attend. The taster sessions will be running for the next month and offer a fully structured boxing programme and fitness development plan for the aspiring athletes. Currently there is only a small population of females engaging with boxing within University sports. However the sporting population at Universities is made up of 742,000 female students. The project looks to take advantage of the sporting population and aims to source a greater depth of talent across the boxing pathway. Northumbria University are backing the project by providing strength and conditioning coaching and re-fitting the gym to accommodate a new and more performance focussed squad. Mark Telford, boxing club coach, recently completed the AIBA 1 Star coaching course is working closely with GB and England to ensure that the world standard methods are being used. It is hoped that if the pilot project proves to be a success, we would see a similar development model rolled out to other Universities around the country, increasing the number of female boxers training and competing. GB Boxing’s Performance Pathway Manager, Rob Gibson said: “The partnership provides a unique experience for talented female athletes. It gives them the opportunity to try boxing with the focus to develop them onto the GB Boxing World Class Programme. “Since the advent of Women’s boxing into the Olympic Programme in 2012, there has been significant development across the world in women’s boxing.